Don't let their small size fool you, the Piccolo Tools Cooking set is designed and built for everyday use, precision cooking and serving. 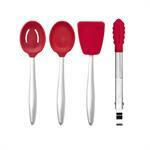 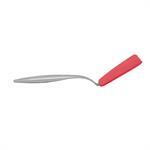 This 4 piece set includes a turner, locking tongs, solid spoon, and slotted spoon. 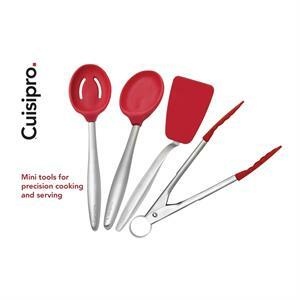 These smaller tools can be used for lots of jobs around the kitchen including flipping an egg, stirring a sauce, sautéing, mixing, or serving items on a buffet. 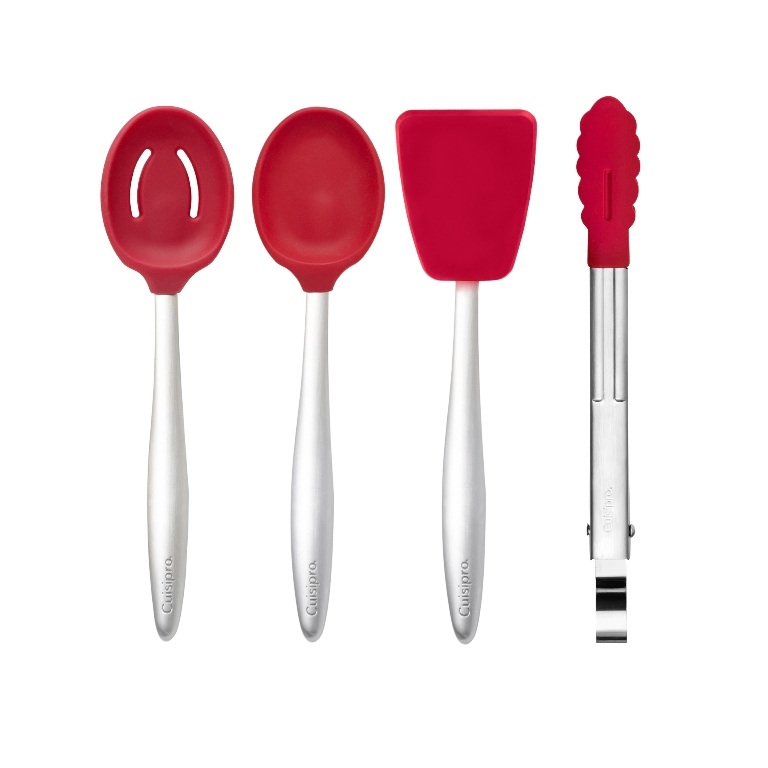 The comfortable, ergonomic handles are heat and rust resistant to give you years of use and enjoyment. 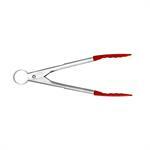 2" x 1 7/8" head. 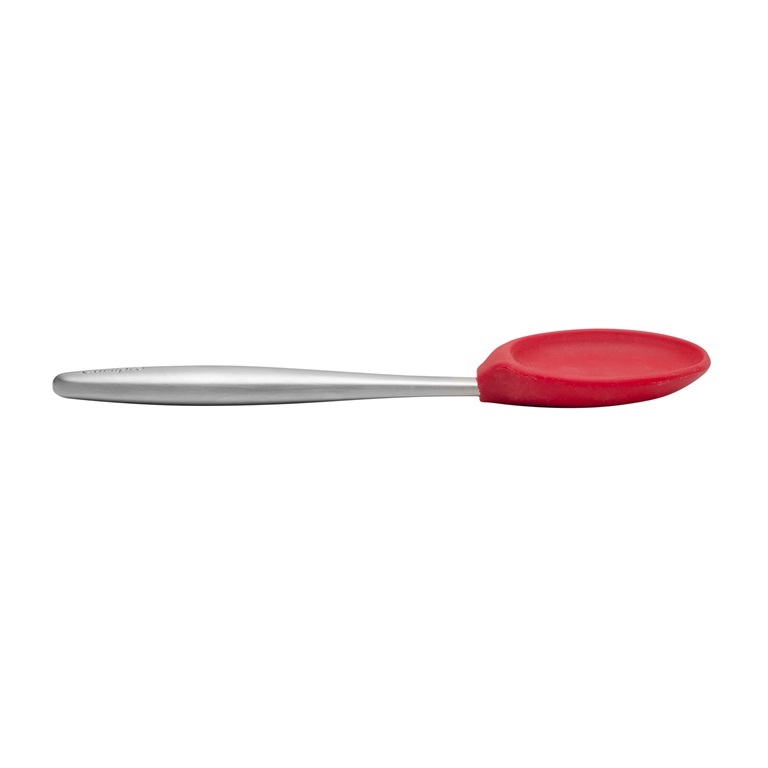 This lifter is the perfect size for serving bars, brownies, cake, hors d'oeuvres, sausage patties, and more. 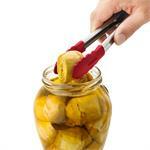 With just the right amount of rigidity to be stable, and the offset handle, it is very easy to use. 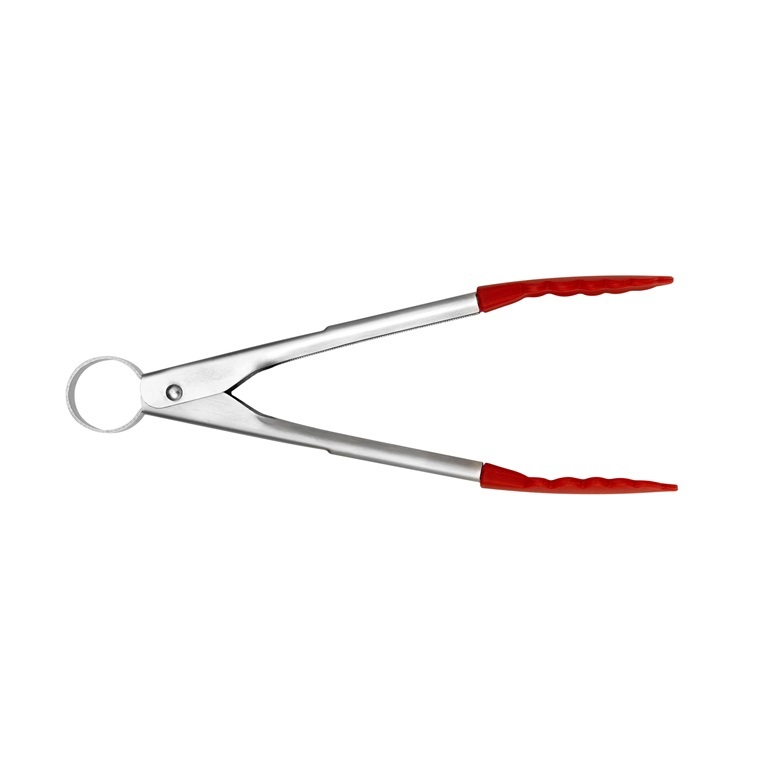 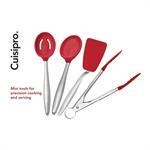 Cuisipro's locking tongs have a commercial quality stainless-steel body with silicone ends. 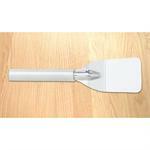 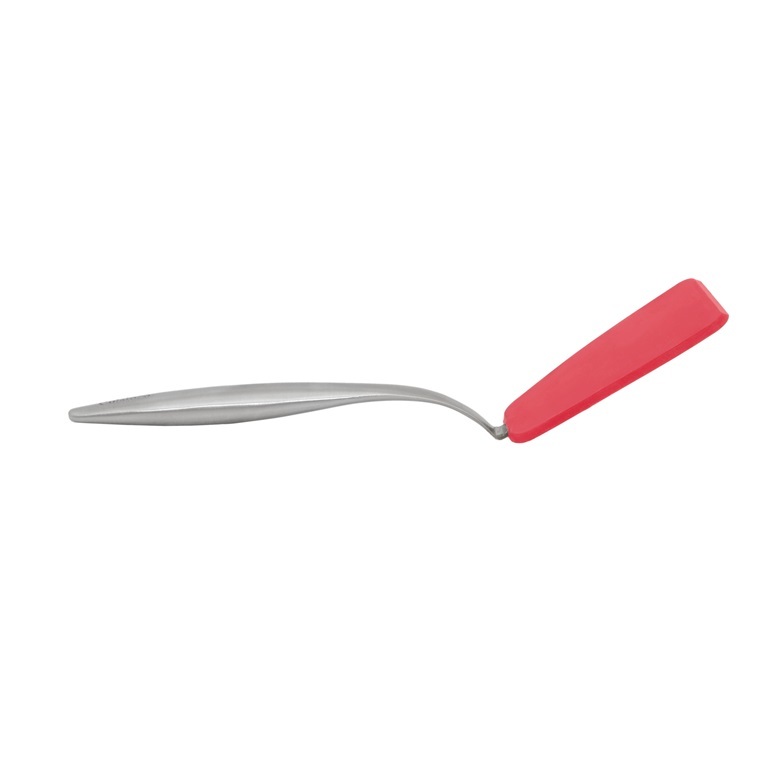 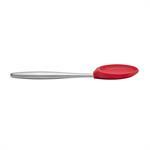 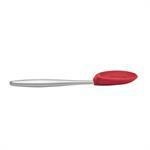 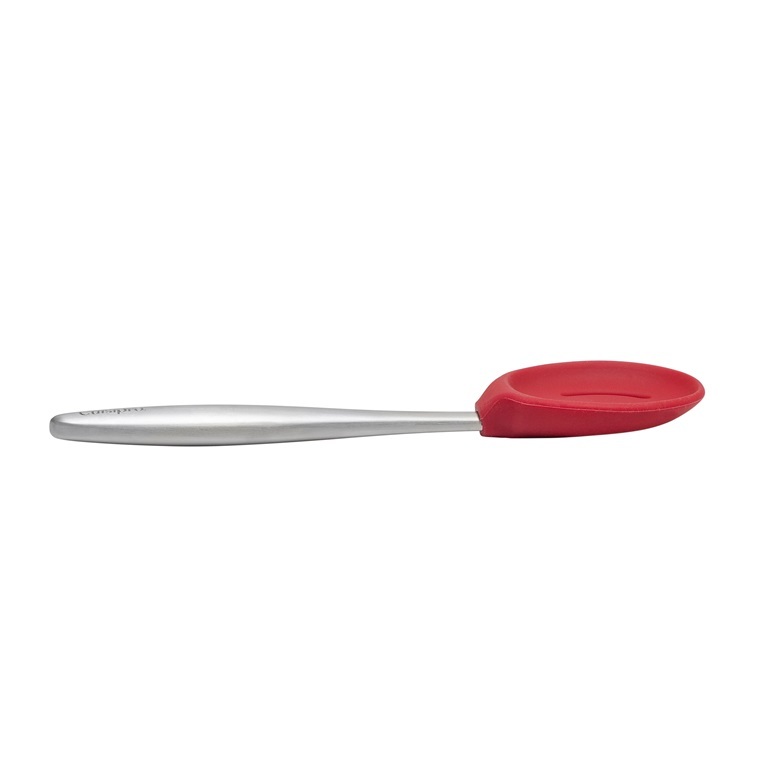 Silicone ends are heat-resistant to 575ºF (300ºC) and safe for use in non-stick cookware. Tongs can be opened with one hand - push to open and pull to lock.